Welcome to join our giving away promotion. 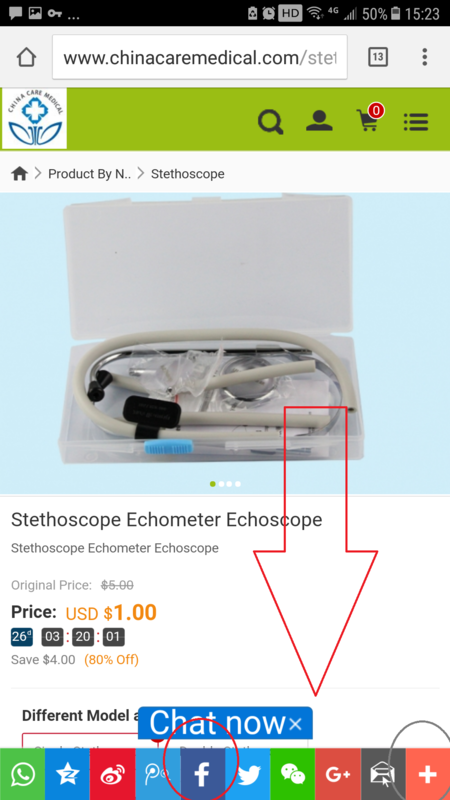 there is one give away activity, you can get a quality stethoscope at USD1, Have a look !! 2,Please make sure all your friends can see your share. 3,Each Person can only get 1 units for the first order. 4, The price is without shipping cost. After your share, please shootscreen to us, then you can get the stethoscope. 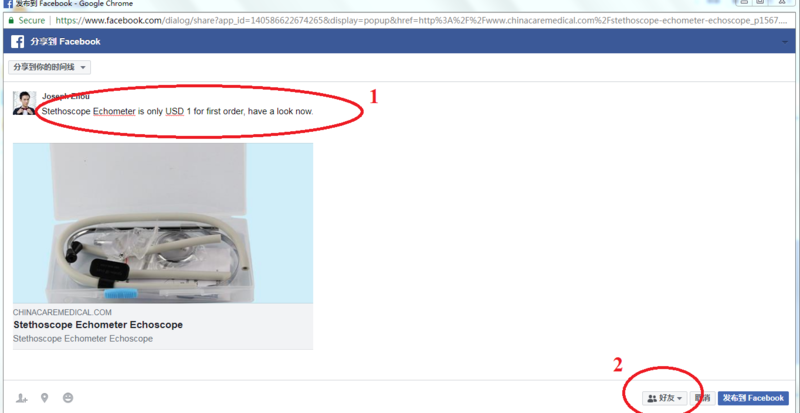 Please Contact Us to offer us your full name, detail address, contact number, then we can ship to you.